The cornerstone was laid in November 2007, topping-out was in July 2009; and two years later the school relocated across town, from Giesing to the more central Maxvorstadt neighborhood – HFF Munich has arrived at its new premises in the heart of Munich’s Museum Quarter. Though sited along Gabelsberger Straße, in 2012 HFF Munich adopted a new address, commemorating one of its most illustrious alumni: Bernd-Eichinger-Platz 1. The new building complex, designed by architect Peter Böhm and shared with the Staatliches Museum Ägyptischer Kunst (State Museum of Egyptian Art), not only finally accommodates all the HFF Munich departments under one roof – it also boasts three screening rooms, two television studios, two movie studios and a complete post-production wing. 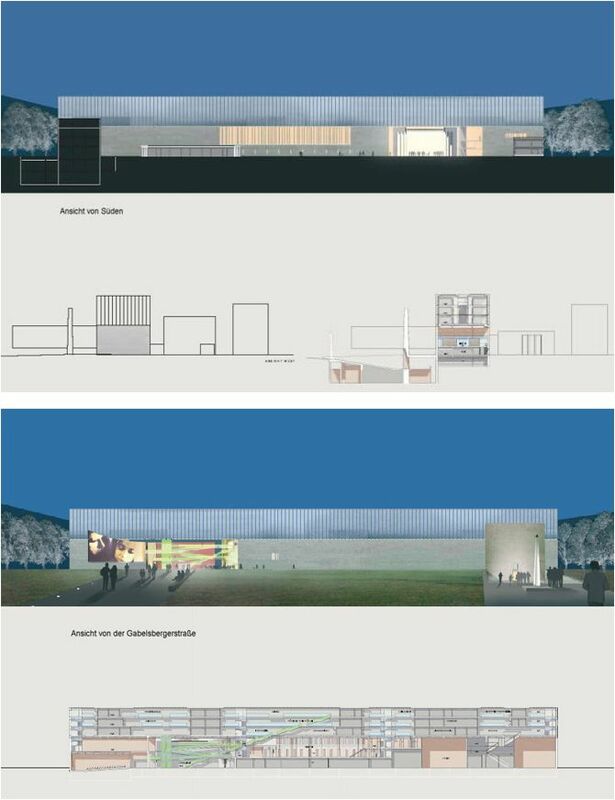 Prof. Dr. Peter C. Slansky, head of the Technology Department at HFF Munich, took on the supervision of the new building project, coordinating with construction management, to ensure that the modern architecture met all the technical requirements of a modern film school. HFF Munich’s arrival in Munich’s Art Quarter is evident not only physically but also in spirit – in its cooperative exhibitions with the surrounding Pinakothek museums; as well as in its participation, as one of the official festival sites, in the annual Filmfest München.